UK made. Cruelty Free International and contains no optical brighteners. 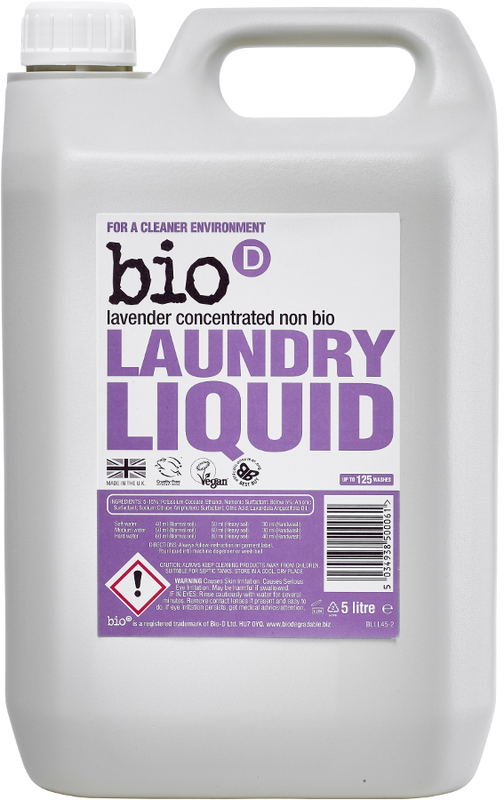 The Bio D Concentrated Non-Bio Laundry Liquid - Lavender - 5L - 125 Washes product ethics are indicated below. To learn more about these product ethics and to see related products, follow the links below. We use product to wash clothes and shop aprons and cloths. 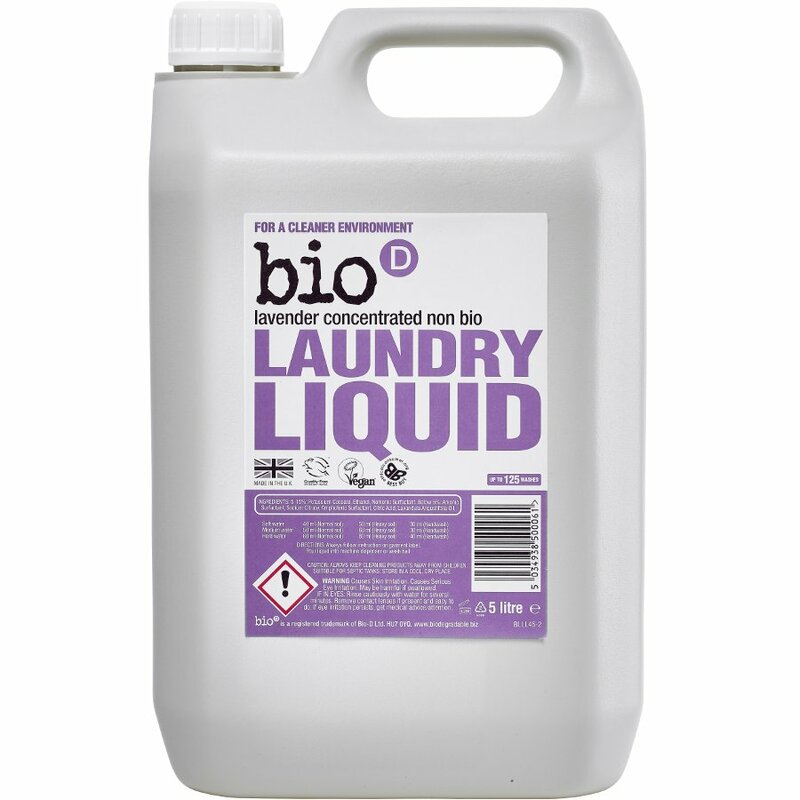 Decent laundry product with added advantage of being green. Gets delivered to shop premise so very convenient. It does exactly what it says. My fabrics are clean but there is no discernible smell. Some people won't like that but it takes hundreds of chemicals to create fragrance and most manufacturers add strong fragrance to mask the smell of the chemicals used to clean the clothes. Strong fragrance should ring major warning bells! I originally purchased the small pack but have now opted for the 5L making it economical as well as ethical! Q: Approx how many washes does this do?